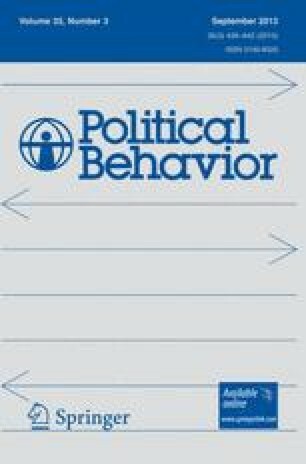 Research on voting behavior has been reinvigorated by focusing on citizens' certainty of candidates' issue positions and ideological orientations. According to this perspective, citizens are inclined to support candidates whom they are confident possess attributes they deem important. Analysis of citizens' perceptual certainty and perceptual accuracy of 1994, 1996, and 1998 House candidates' ideological orientations reveals that many candidate characteristics (incumbency, fiscal resources) that enhance certainty fail to improve perceptual accuracy. The electoral consequence of this fact is that candidates endowed with these resources benefit from the importance of certainty to citizens without paying the electoral costs of clarifying their issue positions and ideological orientations. Similarly, several characteristics of citizens that lead to certainty reduction—gender and caring about the outcome of the election, for example—fail to improve perceptual accuracy. The implications of the empirical findings for the role of citizens' assessments of certainty in the voting decision for producing an informed electorate are considered here.